Georgia Secretary of State Brian Kemp speaks during a unity rally in Peachtree Corners, Ga., on July 26, 2018. On election day, Georgia voters will cast their ballots and hope that in the end the results are accurate. Unfortunately, there will be no guarantees. A U.S. District Court judge determined late Monday that switching to paper ballots so close to an election was sure to cause a bureaucratic nightmare that would only serve to frustrate voters and produce longer-than-usual lines. She also determined that Georgia’s election officials—and Secretary of State Brian Kemp, specifically—have been essentially standing around picking their noses while nearly every election security expert in the country has been shouting about how vulnerable their systems are. Georgia is one of several states that uses a touchscreen machine that produces no paper trail, a vulnerability that, according to a broad consensus among security experts, is extremely troubling and potential unconstitutional. If any votes in Georgia get somehow altered, there will be virtually no way to tell. While Judge Amy Totenberg declined to force Georgia to implement paper ballots ahead of the midterm election, saying that doing so would “seriously test” poll workers and create “bureaucratic confusion and long lines” sure to “sour” citizens, she also rebuked Georgia officials over their lackadaisical approach to election security. Kemp was admonished for having “stood by for far too long” amid a “mounting tide of evidence of the inadequacy and security risks” of Georgia’s election systems and software. “The Court is gravely concerned about the State’s pace in responding to the serious vulnerabilities of its voting system—which were raised as early as 2016—while aging software arrangements, hardware, and other deficiencies were evident still earlier,” Totenberg wrote in the decision. While time constraints are a factor for the 2018 election, the judge warned that if the state continues to “move in slow motion or take ineffective or no action,” similar arguments would likely no longer hold up in court. “[T]he Court advises the Defendants that further delay is not tolerable in their confronting and tackling the challenges before the State’s election balloting system,” she said. 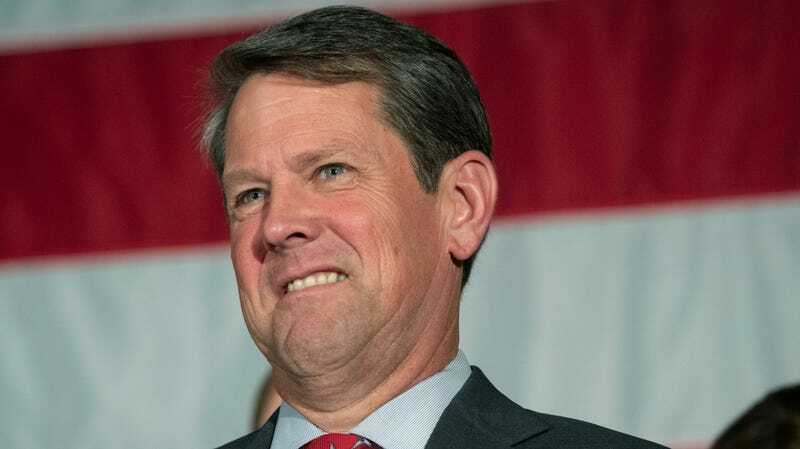 The case, in which Kemp was specifically named as a defendant, was brought by voting integrity advocates who sought an immediate switch to paper ballots, arguing that the machines long used by Georgia are vulnerable to hackers and that in the event of a security incident, there’d be no way to verify the results—effectively violating citizens’ constitutional rights. While the state was granted access this summer to over $10.3 million in federal cash specifically for election security enhancements, the actual cost of replacing all of Georgia’s machines could be up to $120 million, according to some estimates. Kemp has assembled a bipartisan commission to examine the possibility of changing out the voting machines ahead of the 2020 election. Kemp is one of the more vocal of state election authorities resisting any federal law that would require paper trail printers to verify machine-count outcomes, or the use of “risk-limiting” audits, the only type of post-election audit endorsed by the American Statistical Association. Such measures were previously included in a bipartisan bill called the Election Security Act, but were later stripped as the bill was met with resistance from state officials. Risk-limiting audits and paper trails remain a key component of a Senate bill known as the Protecting American Votes and Elections Act, or the PAVE Act, introduced by Senator Ron Wyden, Democrat of Oregon. Top officials at the Pentagon, FBI, and DHS said last month that the U.S. government has tracked attempts by foreign adversaries to infiltrate election systems and that election officials specifically have been targeted with computer intrusions.